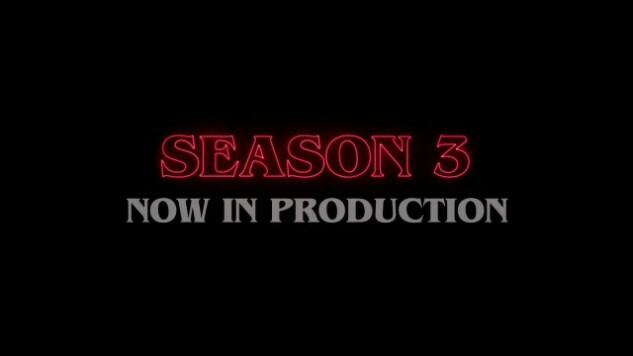 “Back at it, nerds.” The official Twitter account for Stranger Things tweeted a video on Friday morning announcing that season three is officially in production in Atlanta as of last Friday, April 20. The video below plays the ominous score while black-and-white footage of the cast and crew gather around for what looks like a script table read. We see the names of the stars: Millie Bobby Brown, David Harbour, Finn Wolfhard, Winona Ryder and more, including some new cast members, like Jake Busy and Cary Elwes. The Duffer Brothers are currently embroiled in a lawsuit, in which a former film student is claiming that the brothers stole his idea for Stranger Things, but that has not yet stopped production on the hit Netflix series.